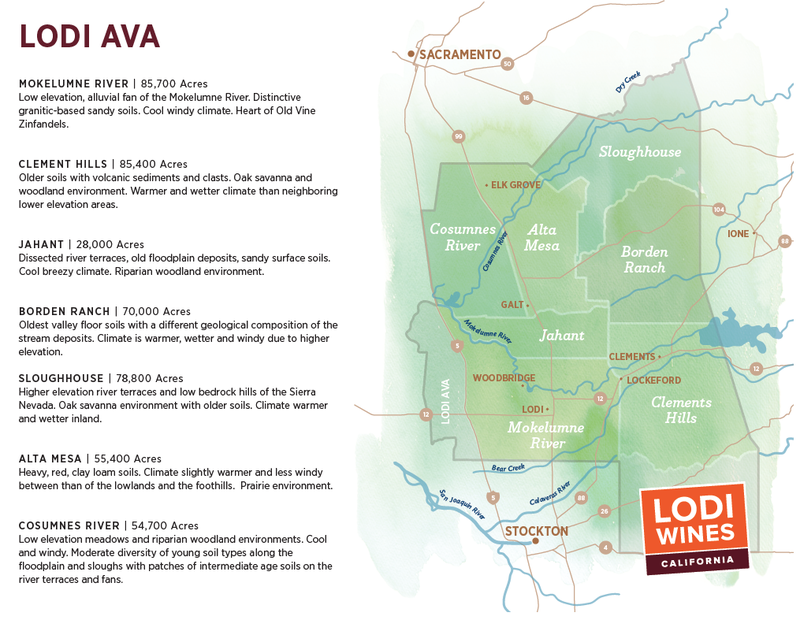 Lodi is the "self-proclaimed Zinfandel Capital of the World" producing over 40 percent of California’s premium Zinfandel, with the vast majority of it grown in the Mokelumne River AVA. But to paraphrase a favorite song, " well...how did it get there"? According to Zinfandel: A History of a Grape and Its Wines, brothers George and William West had added Zinfandel to their Stockton based El Pinal Winery by at least the 1860s. In 1889, German-born Joseph Spenker planted a vineyard, most likely from cuttings from El Pinal, that consisted of Zinfandel, Carignan, Mission, and Tokay -- the later a Vitis vinifera table grape that closely resembles the gnarled look of the Zinfandel vine. 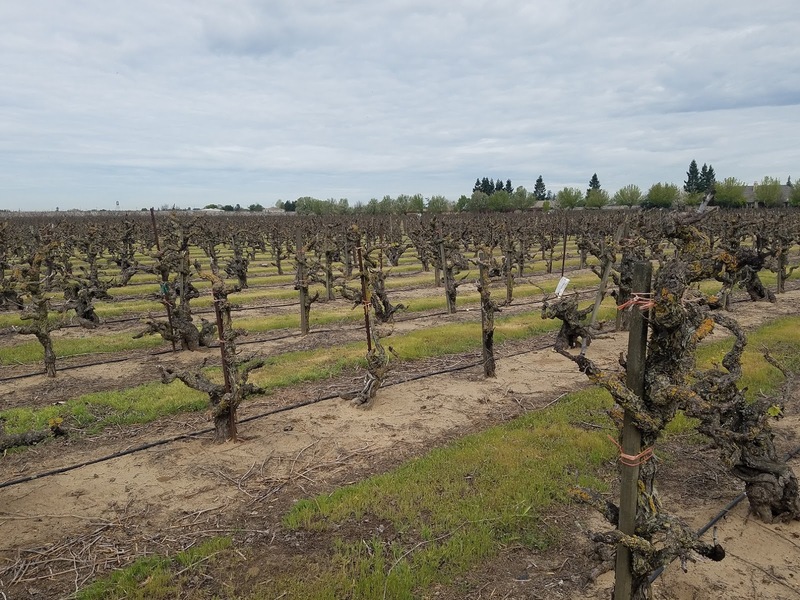 This plot is still farmed today by Spenker's ancestors (Wanda Woock Bechthold and her son Greg Burns) in the Royal Tee Vineyard of Jessie's Grove Winery and is Lodi's oldest Zinfandel-dominated planting. 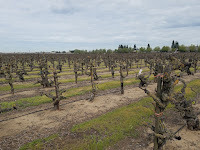 By the way, the oldest continually planted vineyard in Lodi was also planted by Spenker a few years earlier, in 1885, and is the famed Cinsault dominated Bechthold Vineyard. 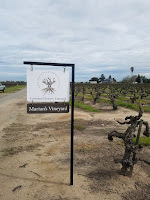 Other historic vineyards, planted in the early 20th century, are Marian's Vineyard at Mohr Fry Ranches, Lizzy James Vineyard owned by Harney Lane Winery, and Soucie Vineyard. The 225 acre Mohr Fry Ranches contains nine distinct blocks of own-rooted Old Vine Zinfandel. The ranch is currently farmed by the father-son team of Jerry and Bruce Fry, whose family has been farming in California for over 150 years. 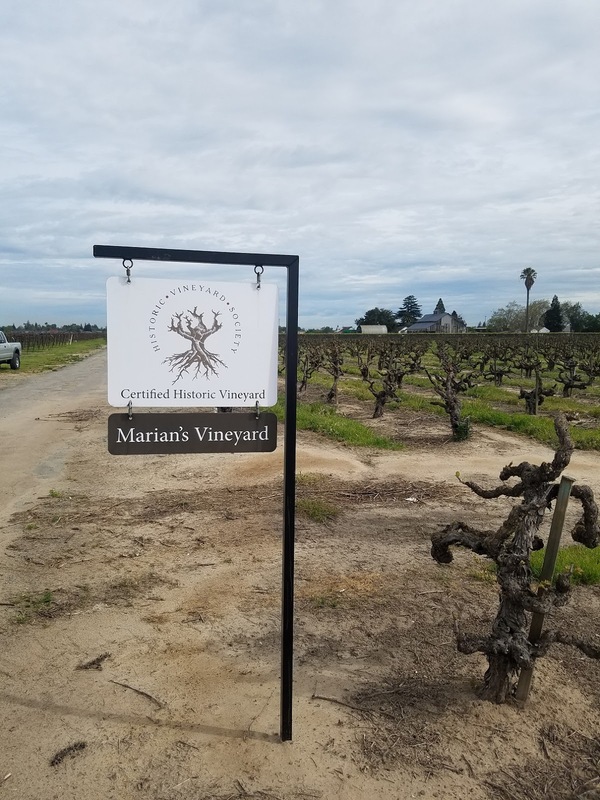 Jerry named the oldest Zinfandel block, 8.3 acres of own-rooted vineyard planted in 1901, Marian's Vineyard after his mother Marian Mohr Fry Zimmerman. The Lizzy James Vineyard is a 20-acre plot of gnarly Zinfandel vines first planted in 1904. It is named after Lizzy and James, the children of proprietors Jorja (Mettler) and Kyle Lerner, after the Mettler family purchased the vineyard in 2005. 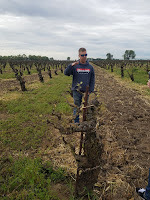 And, in 1916 Edward Soucie, Sr. planted own-rooted Zinfandel on Lodi’s far west side which is today owned and managed by fifth-generation Lodi native Kevin Soucie. A logical question regarding these ancient vines is "do their yields deteriorate drastically over time"? Michael Klouda, vineyard manager at Michael David Winery and winemaker at Michael Klouda Wines agrees that this does occur occasionally and individual vines must be replaced periodically. But in general, modern sustainable vineyard practices have increased the health and vigor of grape clusters. 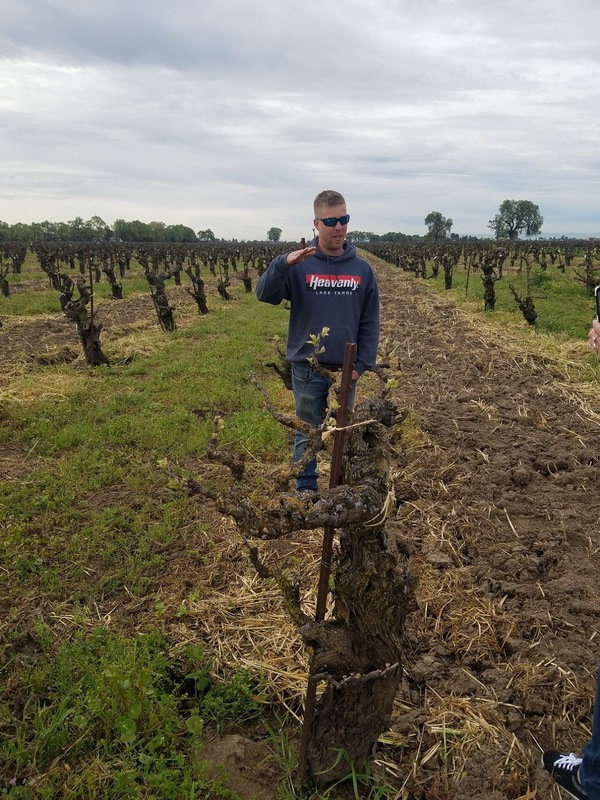 Kyle Lerner mentioned a similar opinion when discussing the restoration project at Lizzy James Vineyard and the necessity of resuscitating a number of unhealthy vines. Geographically these ancient vineyards share a common planting within the Mokelumne River AVA and are often own-rooted -- even when the St. George rootstock was available. This was possible since the sandy soils along the river are a deterrent to the phylloxera louse -- although the soils do not eliminate the threat completely -- it's just more manageable. 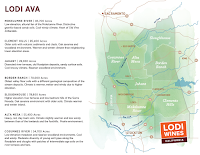 The Mokelumne River location has remained conducive to Zin, as currently 99% of Lodi’s Zinfandel plantings are concentrated in this AVA. "...this means higher skin to juice ratios as well as earlier ripening; and both factors can result in lower pH, higher total acidity as well as increased phenolic content (the color, tannin as well as aromatic compounds of wines are derived from grape phenols and polyphenols). In plainer English, this means brighter, crisply balanced white wines, and darker, firmer, zestier, flavorful red wines. The opposite – larger clusters and berries – means lighter colored, softer, rounder, less aggressively flavored wines". During our visit, we experienced this dichotomy in practice during a blind tasting of East vs West Zinfandel. For instance, the west side M2 Wines Soucie Vineyard Lodi Native Zinfandel, the Maley Brothers Vineyards Lodi Native Wegat Vineyard Zinfandel, and the Harney Lane Scottsville Vineyard Zinfandel share characteristics of earthiness, mushrooms, and a softer structure. Wines made from Mohr Fry Ranches' grapes also possess these classic westside traits. 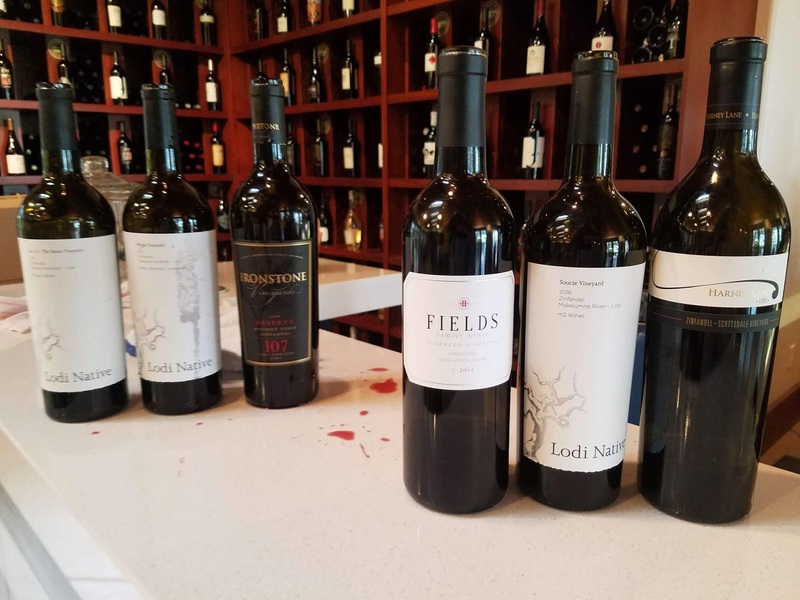 In contrast, eastside Zins such as the McCay Cellars Lot 13 Lodi Native Zinfandel, Fields Family Stampede Vineyard Zinfandel, and Ironstone Vineyards Rous Vineyard Reserve Ancient Vine Zinfandel share characters of a brighter cherry flavor, black tea, zestiness, and structured tannins. The Harney Lane Lizzy James Vineyard Zinfandels also fit these descriptors. These and other excellent Mokelumne River Zinfandel we sampled were clear indicators of how the grape variety excels in Lodi. 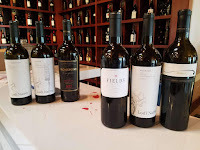 Cheers to old-vine and ancient Lodi Zinfandel and please note that this post was heavily influenced by Randy Caparoso and his Lodi Wine Blog and special thanks to the Lodi Winegrape Commission and Snooth.